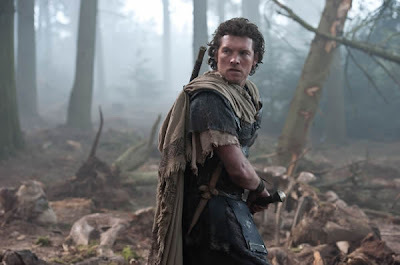 Wrath of the Titans is actually a sequel to the movie Clash of the Titans which I vaguely remember watching at Berjaya Times Square with my friend, Peter, my one and only time watching a movie at that place. The movie theatre wasn't really to my liking and it somehow gives me a headache watching over there. Hence, I don't recall much of the story Clash of the Titans and I didn't even blog about it. Onwards to Wrath of the Titans, the story picks up where the half-human half-god Perseus, the son of the great god Zeus, is living a quiet life as a fisherman and grooming his son Helius to be one also. The gods though, do not fare too well since most human have shy away from worshiping them rendering them weaker and weaker by the day since they draw their powers from human prayers. And with that, comes the consequence of Kronos, father of all the gods who was locked up by Zeus, breaking free from his prison and when he succeeds, it will be the doom of the whole universe. So Zeus seeks the help of his son to get every ounce of godly power to try and entrap Kronos again. But Perseus refuse to live the life of a god and a warrior and choose to have a peaceful life in view of his son. So Zeus, Poseidon and Ares went to the underworld to look for Hades to rebuild the wall of Tartarus in order to prevent Kronos from escaping. Hades and Ares though, had other plans. They betrayed Zeus and were actually the ones who wanted Kronos to escape and after dealing with Poseidon, they took Zeus as prisoner for Kronos to drain Zeus' power so that he can escape. Poseidon, barely escaping with his godly life, went to Perseus to relate what had happened and told him to find his son Agenor so that he can take him to Hephaestus, the very person who forged the weapons of the gods and to save Zeus from Kronos' clutches and stop him. Being only half god and with Ares and Hades looking to succeed, Perseus has the odds against him but still trudges along to find a way to win this seemingly impossible battle. 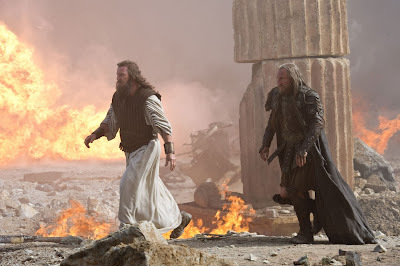 Despite remembering Clash of the Titans as a not so interesting movie, Wrath of the Titans in 3D however, is a different story. It was as if it's made for 3D. Hence, the effect of 3D greatly enhances the movie watching experience with all it's splendid action and definitely got me at the edge of my seat. Sure, you may not be as enthuse as me when it comes to this movie but to me, this is the best movie I've seen in 2012 (but it has to be in 3D!). And so I grade this movie 4.5 stars out of 5 for it's remarkable effects which makes it worth watching in 3D.